Royal Caribbean International last week announced two Transatlantic crossings and a short three-cruise European season for its Oasis of the Seas, in September and October 2014. In some ways this is reminiscent of the way Norwegian Cruise Line used to bring the s.s. Norway to Europe from time to time, but on the other hand it may be an experiment, seeing as Royal Caribbean has recently ordered a third Oasis class ship at STX France. Elsewhere, Quark Expeditions has announced that it will be adding the 114-berth Sea Explorer to its fleet in 2014, to work alongside sister ship Sea Spirit. 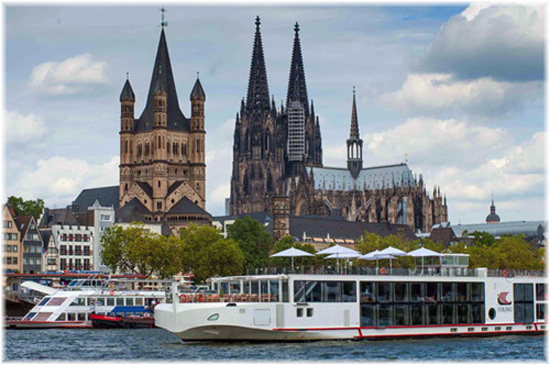 Meanwhile, Viking River Cruises, in addition to expanding into ocean cruising, has announced that it intends to put a European-style river cruiser into service on the Mississippi River in 2015. Reminiscent of the days when Norwegian Cruise Line used to bring its s.s. Norway back to Europe for drydockings when she was still the world’s largest cruise ship, Royal Caribbean International will be bringing its 5,400-berth Oasis of the Seas back to Europe, where she will drydock in the Netherlands in the early autumn of 2014. While typically Norwegian used to drydock the Norway in Europe, she also performed the odd Transatlantic crossing, remembering her days as the famed s.s. France. In 1997, for example, she left Miami on August 16 and New York on August 18 for Southampton, where she arrived on August 30, sailing from Southampton on her return voyage on September 2 and reaching New York on September 10 and Miami on September 13. On some of these crossings, the Norway was drydocked for modifications and on one such visit to Europe she was even chartered to a French group TMR for cruises from France. These first Oasis cruises from Europe will also no doubt be remarked upon since Royal Caribbean have ordered a third such ship from STX France. In 2001, the Norway made her final crossing, leaving Miami on September 2 and New York September 5 to arrive in Southampton on September 18. The events of September 11 occurred while the s.s. Norway was still crossing the North Atlantic. The upcoming dry-docking will allow the Oasis of the Seas to offer a brief season of Europe cruises in the late summer/autumn of 2014 before and after a five-year dry-docking in the Netherlands. The Oasis will offer a total of five cruises, including two Transatlantic crossings and three cruises out of Barcelona, in a short European season. The Oasis, along with sister ship Allure of the Seas, has been operating alternating eastern and western Caribbean cruises out of Port Everglades since her debut in December 2009. On September 1, 2014, the Oasis will offer her first Transatlantic revenue crossing (she carried no passengers on her original delivery voyage in 2009) to Europe: a 12-day eastbound crossing from Port Everglades to Barcelona. A 13-day westbound cruise will return her to Florida from Rotterdam on October 14, and passengers will also be able to embark at Southampton on October 15. When she does so, she will become the largest passenger ship ever to have called on Southampton, not a difficult task, as she is the world’s largest passenger ship. While in Europe, the Oasis will offer two round-trip five-day Mediterranean cruises from Barcelona and a seven-night sailing from Barcelona to Rotterdam, where she will commence her dry-docking. The seven-day Barcelona to Rotterdam cruise will call at Malaga and Vigo while itineraries for the five-day cruises will be announced before April 11. On Thursday, Quark Expeditions announced its Arctic 2014 line-up. The season will feature fifteen voyages, including three new Canadian Arctic expedition itineraries that will explore the final frontier, its indigenous peoples, history and diverse wildlife. 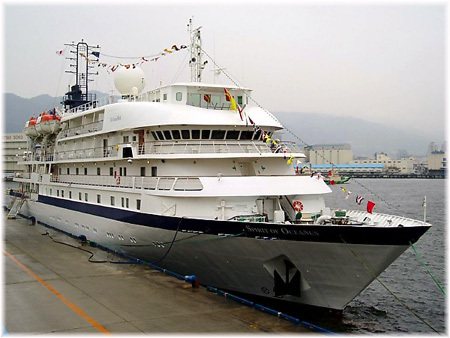 The new Canadian Arctic and west Greenland voyages will take place on board the 114-guest Sea Explorer, a vessel that has been known for many years as Travel Dynamics International’s Corinthian II. As it happens, she is a sister ship to Quark’s Sea Spirit, which had operated previously as Cruise West’s Spirit of Oceanus. 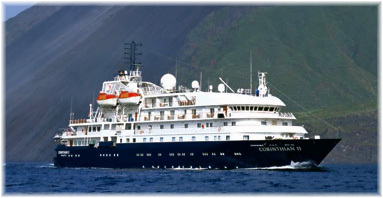 These ice-strengthened small luxury expedition ships feature spacious ocean-facing cabins, all-inclusive bar and beverages and optional sea-kayaking adventures, and are part of a move to bring more luxuriously-equipped vessels to Quark’s operations as replacements for the Finnish-built Russian tonnage that had been used in the past. The Arctic Quest: Greenland to Churchill. A 15-night voyage into the far reaches of the Arctic, home of polar bears and walrus, where Inuit communities keep traditional ways of life. Explore the fjords of Greenland by ship and Zodiac and navigate the easternmost channel of the historic Northwest Passage. Prices start from £5,095 per person for 15 nights with full board, all-inclusive beverages, landings and on-board lectures, in July and August. In the Footsteps of Franklin: Greenland & Canada’s High Arctic. This cruise will explore the best of Greenland’s west coast on a 12-night voyage, including UNESCO World Heritage site Illulissat and one of the fastest and most active glaciers in the world. Entering Canadian waters en route to Resolute, cruise by limestone bird cliffs first sighted by explorers in the 18th Century. Explore, on foot and by Zodiac, Beechey Island, landing site of the Franklin Expedition and the most notable landmark in the history of Canadian Arctic exploration. Prices start from £3,865 per person for 12 nights with full board, one night’s accommodation pre and post in Reykjavik and Toronto, all-inclusive beverages, shore landings and on-board lectures, in August and September. Epic High Arctic: Baffin Island Explorer via Fury & Hecla. Follow a truly epic route explored by very few on this 12-night High Arctic voyage that will navigate the challenging Fury and Hecla Strait between Resolute and Iqaluit. Visit world-renowned Inuit carvers and artists at Cape Dorset, marvel at the bird cliffs and spot walrus and polar bears while Zodiac cruising around Akpatok and Monumental Islands. Prices start from £3,525 per person for 12 nights with full board, one night accommodation pre and post in Toronto and Montreal, all-inclusive beverages, landings and on- board lectures, in September. The rest of the 2014 Arctic season will centre on the region of Svalbard, featuring itineraries such as: Spitsbergen Explorer; Spitsbergen Circumnavigation; Three Arctic Islands: Iceland, Greenland and Spitsbergen; and East Greenland: Northern Lights, all aboard the 114-passenger Sea Spirit. Quark will also operate two departures of its signature North Pole voyage, taking 250 people in total to the top of the world aboard the powerful nuclear icebreaker 50 Years of Victory. 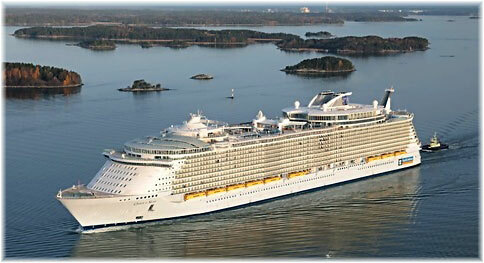 The ship will also carry the Olympic flame for the 2014 Olympic Games in Sochi, Russia. 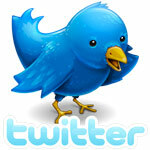 As an early booking bonus, passengers who book before June 1, 2013 will receive up to 25% early-booking reduction. Viking River Cruises has announced that it would introduce a new vessel to the Mississippi cruise trade. Similar to the Viking Longships that the company engages in European waters, the new vessel will be screw-propelled. Viking Longships carry up to 190 passengers and have a unique design that maximizes space throughout. The Mississippi vessel will have to be built in a US shipyard and is apparently planned to enter service in 2015. It also would need a US crew and its owners will have to be US citizens. The shipyard should not be a problem as major overseas shipbuilding groups such as Australia’s Austal, Norway’s Aker and Italy’s Fincantieri already control their own shipyards in the US. The rules on ownership of US shipyards are nowhere near as stringent as they are for US ships taking part in the US coastal trades and foreign shipbuilders now built ships for both the US Navy and the US Coast Guard. The two companies that currently offer cruises on the Mississippi, American Queen Steamboat Company and American Cruise Lines, operate paddlewheel-propelled vessels of a totally different but more authentically local design.